We are a church for Northern Colorado. Its people, its land, its history, its future. Life today is filled with relentless beauty, struggle, and heartbreak. It’s because we stay connected to the beauty that we are committed to tending to all that breaks our hearts. Personal, everyday heartbreak as well as systemic societal injustice. It’s all connected – individual, communal – just as we are all connected. All of us held in love. The core of this commitment is carried out through relationships with our community partners, especially with those who are led by, in relationship with, and/or who serve people historically on the margins. A wrap-around agency addressing homelessness in Northern Colorado. As a part of their One Village One Family program, we form small groups to companion families from homelessness into stable housing. We run regular Gear Drives. We raise money to support their efforts. We listen to their needs and respond. We support Homeward Alliance because their core values align with ours – they use a model of companioning those they are serving, and following their lead. They are willing to learn and grow as they work, and clearly ground their service in joy and love for real people. 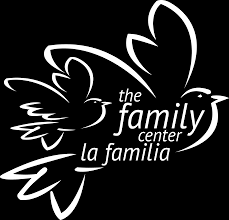 The Family Center provides education and family-strengthening services for the latinx community Larimer County, especially the Tres Colonias neighborhoods and the north Fort Collins area. We have partnered with La Familia on ESL tutoring, gift drives over the holidays, and in resourcing for the immigrant community, especially in an increasingly stressful social environment given today’s political hostility towards immigrants. Most recently, we have been strengthening our relationship with the families of La Familia through a series of shared meals and community conversation, an initiative called Breaking Bread. La Cocina is a culturally sensitive and Spanish-language safe space and therapeutic services for adults, children and families in Northern Colorado, including recovery from trauma, forensic assessments for immigrants in detention, and therapy and coaching for parents and children to promote overall well-being. We partner with La Cocina through ongoing fundraising efforts and through accompaniment of those who are in detention or who have been separated from their families due to detention or deportation. We also follow their leadership in our community as we seek to advocate for a Northern Colorado where all people, including the latinx and immigrant communities can flourish. We are proud to be among the founding congregations in this partnership across faith communities in Fort Collins to provide temporary housing to families experiencing houselessness. We work with Congregation Har Shalom to host families three to four times each year from a Sunday to a Sunday. 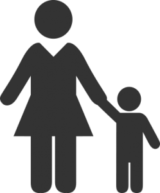 We also work FFH’s social worker to help families connect with appropriate supports, and we are proud to financially support FFH with our financial resources. We are grateful to work regularly with the Food Bank in our support for those who are experiencing food insecurity. Starting in October 2016, we were the pilot site for their new initiative to establish mobile pantry sites across Northern Colorado. Since then we have held a food bank on our campus twice every month, where families work together to ensure that between 80 and 100 families receive the food they need. We provide the equipment, space, volunteers and we pay for the food itself. Many of our mobile site volunteers end up volunteering at the Food Bank itself! We are proud to be among the founding members of this coalition that engages the interfaith community of Northern Colorado in support of immigration justice in our county, our state, and our country. We seek to raise awareness of the issues surrounding immigration, as well as address the intersecting issues of racial and economic justice. We also provide the training and resources for any congregations seeking to become Sanctuary Congregations, and work together to support any immigrants in sanctuary in Northern Colorado. Foothills provides the fiscal sponsorship of the Emergency Immigration Fund, which provides emergency financial support for individuals and families who have experienced a sudden change in their immigration status resulting in detention, deportation, or other significant stressors on the needs of daily living. We have a long history of a partnership with our neighbors just east of us on Drake. Currently, this is most visible in our partnership with Faith Family Hospitality hosting. In the late 1990s, members of Foothills worked to help start a new UU congregation in Loveland, where many of our then-members were residing. That early work is now a thriving, beautiful community of Unitarian Universalists, and one of our most consistent partners in our community. We try to work together whenever we can – whether by sharing ideas and resources, or partnering on justice work, or in regular social gatherings both formal and informal.